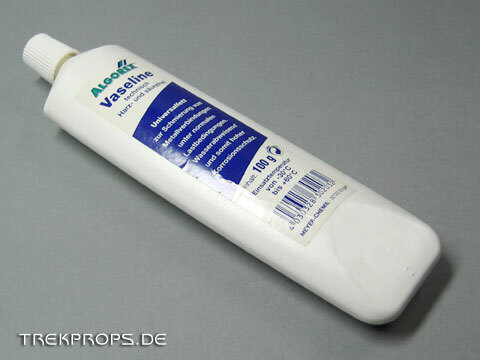 Very useful when making a mold: Vaseline. It is used as a release agent for silicone mold halves and helps to avoid enclosing the master model in a silicone block. Vaseline is applied with a brush – don’t use it sparingly! There are more specialized release agents for silicone molds, but Vaseline works just fine for me.